Do Cockroaches Bite? Can They Kill You? Yes, you bet they do; cockroaches do bite. They will bite humans and pets. Since they will eat “anything,” they will also feed on you. It’s actually not as scary as you think. Although, I’m sure you have some questions, so read on and find out just how dangerous they can be and if you are at risk of being bitten or worse, killed. I’ll also teach you how to treat cockroach bites, and how to avoid getting bitten. It’s true. Regardless of which species, they are all capable of biting humans. Although, reported cases of bites from most species are rare compared to other insects. How likely are they to attack, or bite us? Compared to other insects, they are not very likely to bite humans, however. Though capable, they are not generally aggressive enough to bite us while we’re awake. Which Species Are Most Likely to Bite Humans? There are more reported cases of bites from German roaches than most of the other species. This is no surprise considering they are the most common cockroach found in a human home, and they’re most well-known for heavy infestations. In a heavy infestation though, they are the most likely to feed on our dead skin cells, as well as any food residue left on our bodies. 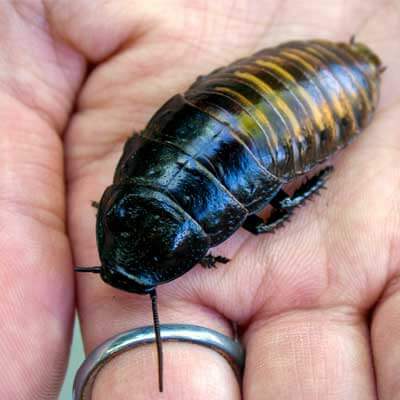 Even more commonly known to bite and attack humans are the American cockroach (Periplaneta Americana), and the Australian cockroach (Periplaneta australasiae). Many reports of bites were from these two. These two species are the largest species commonly found living with humans. They can measure between 1-1 ½ inches long. Are they more likely to attack us because of their size? We can assume that might give them a little more confidence, but there’s no scientific proof. However, it could merely be—with their size– their bites are more noticeable due to a stronger bite; thus more reported cases. You might be picturing having a tiny chunk of your skin being ripped out by a jaw full of sharp teeth. Good thing for us, that’s about as far from the truth as possible. Their bite is really more of a pinch. When they do bite you, they’re actually pinching your skin. Sure, in some freak sci-fi movie, these insects possess the strength to rip that skin right off, and blood will come gushing out, but they can’t. While the power of a roaches bite is reported to be 50 times that of their body weight, they’re tiny little creatures compared to us; our skin is just that much stronger. To really understand how they bite (pinch) us, you should know the different parts of their mouth; which consist of five major components. Labrum – Basically the upper lip/top cover. Mandibles – Cutting jaws that are hard & powerful. Maxillae – Smaller “pincers,” but not overpowering like mandibles. Meant to help hold food and has segmented sensory palps for tasting food. Labium – Lower lips/lower cover. Hypopharynx – an extended structure that has salivary glands to discharge saliva. Notice we’re missing jaws line with razor sharp teeth to tear your skin right off? If they don’t even have something like that then how do cockroaches bite you? Well, the answers in that list for sure. The mandibles are what they use to bite us. Because they’re more like pincers than jaws full of sharp teeth, the most they can do is pinch our skin; they can’t literally bite off a small chunk. That doesn’t mean you won’t feel anything though. Larger species of the American cockroach and the palmetto bug can make it sting. You’ll likely feel the pain for a feel seconds. As for the smaller cousins, it might get your attention for a split second but that’ about it. Roaches do not generally bite you because of aggression. Although, for the bigger species, they can sometimes attempt to bite when startled. A good example would be if one accidentally flew into your neck, or face. Terrified of the giant they just landed, and the huge hand that’s flying towards them (screaming DEATH!) then they can take a bite in an attempt to survive somehow. Most cases where people claim they were attacked were similar to this example. Are there any other reasons why they would bite you? They will nibble on your fingers, etc. if there is a lack of food. If they’re hungry, and they’ve got nothing to eat, they will eat what’s available so they can survive–you. Don’t panic just yet. Roaches will not feed on your flesh and eat you alive. They’re indiscriminate feeders, and our dead skin cells are food for them. They’ll nibble on the dead skin around your hands, and feet. If there are any food residue on your body that gets their attention, they will also nibble on them. Accidents do occur though; just like when you accidentally bite your tongue while eating. As I’ve already mentioned before, roaches aren’t aggressive. In fact, they are quite shy, so they’ll try to stay away from you when possible. They’re also nocturnal, so they generally only come out to scavenge for food during the night. Combine these two facts together, and you’ll understand that during the night is when they will most likely bite or feed off of you. While you’re sleeping, you’re just another object in the room, so they aren’t as afraid to approach you. Your dead skin is just food lying around, so it grabs their attention if there’s nothing else that is more appetizing. These pests are picky eaters, but there are a few things they can’t say no to (such as sugar and fats). If you’re sleeping in a heavily roach-infested building, then the chances of getting bitten are higher. Unless they’ve unintentionally landed on you by mistake and don’t’ bite out of fear, they will commonly nibble on parts of your body that have plenty of dead skin or food residue. All those parts of your body will provide food for them if there is nothing else to feed on, or they happen to be nearby. Are They Dangerous? Can They Kill Us? What’s the worst they can do? Are they dangerous and can cockroaches bite and kill us? You’ve been waiting for the answer to this question, but I had to hold off a little. Why? Because if you’ve read this far, then you now already a solid knowledge. You now know that they can’t bite us to death. The answer is, no, they can’t kill us; they cannot eat us alive. However, roaches are not without risks. While we won’t be eaten alive by cockroaches, we can get very sick, and if it’s left untreated, it can get dangerous for our well-being. Don’t misunderstand though. Roach bites do not release any sort of disease or venom that can harm us. The most significant risk they have are the harmful bacteria, and allergens they have on their bodies and potentially on their mouths. If they do nibble on an open wound, they could potentially cause an infection, or allow the bacteria to enter your system. The chances of this happening are very slim, but it’s still a possibility. You’ll most likely be exposed to the risks they carry from eating food contaminated by roaches instead. A cockroach should not be able to puncture and cut your skin with their bite. With no bite mark, how can you tell what their bite loosk like? Although there are no teeth marks, bites can often cause some pain and redness or swelling. It’s usually not the bite that causes these symptoms. A lot of times, what you will notice is an allergic reaction to the allergens carried by a cockroach. Aside from the typical symptoms above, you may also notice a little itching. The itching is probably not caused directly by the bite. It may be a result of an allergic reaction to an allergen on the cockroach. In fact, allergic reactions caused by cockroaches are quite common. Don’t be alarmed if you notice some itching. If you’re one of the rarer cases where you were able to confirm you were bitten by a cockroach visually, and it’s now dead on the floor—squashed—then here’s what you can do to treat the bite. Wash the affected area with warm running water and anti-bacterial soap. Dry the area thoroughly with clean paper towels. Alternatively, you can wipe the area clean with rubbing alcohol or hydrogen peroxide. If you suspect there is an infection or you have concerns, consult with our doctor as soon as possible. Sure, bites from cockroaches are rare, but that doesn’t mean you shouldn’t try to reduce the chances of being “eaten by roaches.” They’re not very clean, and they do carry some potential dangers with them. So here are a few things you can do to prevent becoming food for roaches or getting a surprise bite. Stay away from areas with high populations of cockroaches (especially those with American, Australian cockroaches). If you have them already, take the necessary actions to get rid of them. If you have a massive infestation, remove them ASAP. I can understand your concern about these little unwanted invaders, and I wan to assure you that you’re not the only one with questions. These are some quesitons that others have asked before. I decided to answer them here just in case you were curious. Keep in mind that cockroaches are indiscriminate feeders. Honestly, they don’t care whether is you, another person, or a pet; they’ll feed on any edible matter if needed. So the answer then is yes, roaches do bite pets. To reduce the chances of your buddy becoming a victim to roach bites, keep them clean. Keep your house clean and follow the prevention tips covered further below. Waterbug is a term commonly used to refer to the American cockroach, as well as the Florida woods cockroach. 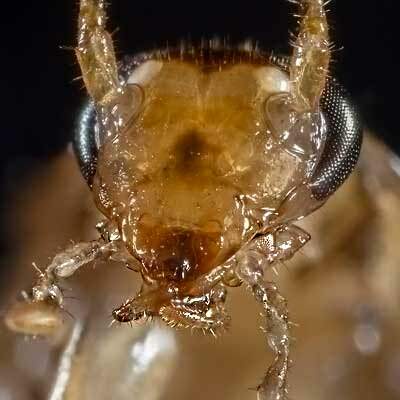 The name is also used interchangeably with palmetto bugs. If we’re talking about American roaches, then they will bite; they’re actually one of the most well-known species to bite humans. Being as big as 1 ½ inches, their bite may sting. Some reports have even compared the pain to that of a bee sting. Florida woods roaches can reach up to 1.6 inches, and although they are not as notorious as the American cockroach, there have been some report cases of people getting bitten by them. Being approximately the same size as the American cockroach, it can sting a little. Do Hissing Cockroaches Bite People? 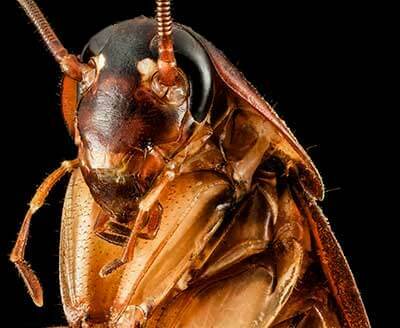 One look at a Madagascar Hissing Cockroach and you’ll start question whether it bites or not. I wouldn’t blame you. These insects are massive; they can be as big as 3 inches long. They’re native to Madagascar (hence the name), but they’re often kept as pets. You won’t likely run into on in the wild, but you might see them know a friend who strange tastes for pets. You’ll be glad to know that they’re generally very shy and there.’s really no recorded cases fo them biting. Of course, that doesn’t eliminate the slight possibility though, so if in doubt, caution is your friend. Back to our main question, “do cockroaches bite?” You bet they do. There isn’t much to worry about their bites though. The only time you should be concerned is when there is an infection. You should also be a little more concerned if you have an infestation, but I’d honestly be more concerned about the sanitary problems form that massive infestation. If you’re living with so many of them that you’re scared of them biting, you need to get rid of them fast. The disease they carry and expose you to is a lot potentially dangerous to your health.